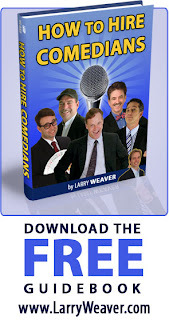 When shopping for holiday party entertainment, live comedy can be a real crowd pleaser! Just make sure to hire an act that's both clean and experienced in front of diverse crowds. That means no curse words and no squirm-inducing jokes about what Tiger Woods does in his free time. A comedian that is funny without vulgar language, racy commentary or sexual innuendo will be a hit in any environment and for any audience. As the person responsible for planning entertainment for your corporate event, there is no reason good enough to risk having a performer that might offend your group.